Kathryn Korff, the owner and artist behind Kathryn Korff Designs (KKD), creates decorative, geometric wood art, home goods and macrame art as well as personalized hand-lettering services. 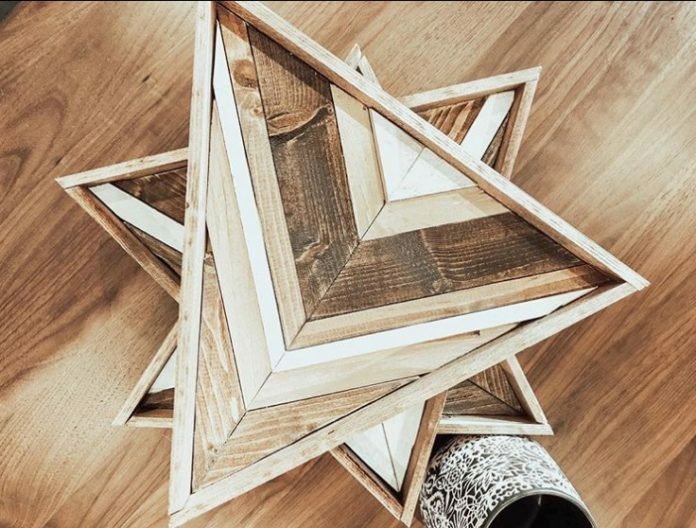 Meet & shop with Kathryn for her geometric wood art at the Chicago Artisan Market on Sunday, December 2, 2018 at Morgan MFG, along with 110+ top artisans in food, fashion, home goods + art. Kathryn Korff Designs prefers to step away from the mass-produced, unoriginal decor of the “big-box stores” and create personal, meaningful pieces to treasure forever. She wants to help you build a home filled with memories and meaning. Every KKD piece is designed and constructed by hand … from the digital lettering to the frame building to the hand-knotted cotton of her macrame art. Every KKD piece is made with love and attention to detail. Personalized Signs – Shelf signs, name signs, state shape signs and more. Geometric Wood Art – Each geo is unique and one of a kind. Kathryn creates custom orders in specific color schemes. Personalized Cutting Board – Designed, lettered and engraved all by hand. Hand Lettering Services – Work with Kathryn to create a personalized wedding, shower, party, business event or any other special occasion. 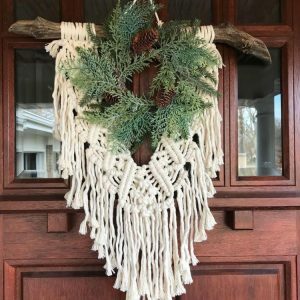 Macrame Art – Using 100% cotton sourced from local sellers who own their own businesses, each piece is hand knotted and unique to Kathryn Korff Designs. Kathryn adds elements of nature such as branches, stones and greenery that she has found across the US. Kathryn began knotting as a creative release when she was working full time at an engineering firm. 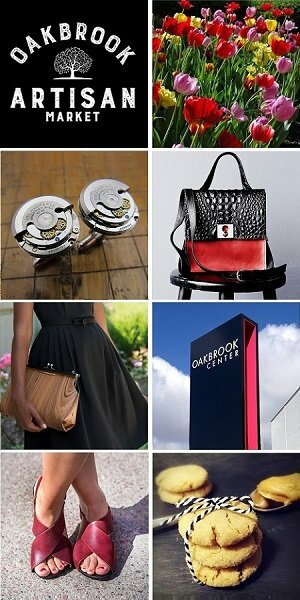 Through lots of practice, time and effort, she taught herself to create unique and free-flowing pieces that reflect her love for the outdoors and spatial design. She never designs her macrame pieces on paper, but instead lets the design come together in a free-flowing process. Kathryn Korff (very soon to be Allbright) has grown Kathryn Korff Designs from something she simply did on the side as a scatterbrained hobby to a pretty incredible little business. She love creating, and it has kept her on her toes since the day she started. In 2018, she took the dive and left her job at an engineering firm to pursue KKD full time. It has been a beautiful pursuit, with so much love and effort put into her creations.